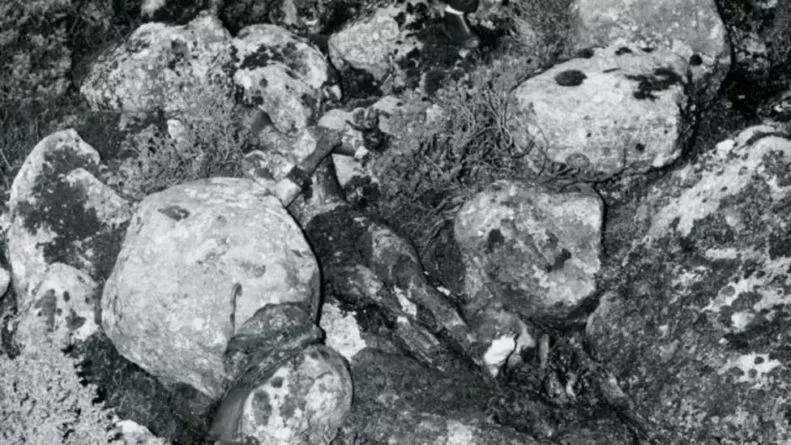 The mysterious death of the still-unidentified “Isdal Woman” has haunted Norway for almost 50 years. The story began on the brisk afternoon of the 29th of November, 1970. A man and his two young daughters were hiking along Isdalen Valley in Bergen, Norway, in an area known locally as the Valley of Death. It earned its sinister nickname because it was a popular location for suicides and was the site of many tragic deaths of hikers falling in the fog. As the family climbed across the rocks and underbrush, they spotted the body of a woman lying on the rocks in a pugilistic attitude, meaning she had been set alight. The body was burnt all over the front, including her face and hair. However, she was not burnt on the back. Due to the extensive fire damage to her face, she was unrecognisable. An autopsy concluded that the woman died from fenemal and carbon-monoxide poisoning; she had ingested over 50 sleeping tablets. Many of the pills were still not dissolved in her blood before she died. Due to the smoke particles in her lungs, she had been alive when she was on fire. The pathologist added that the injuries inflicted by the fire were also a contributing cause to her death. The pathologist could determine that the woman had never been pregnant. Adding to the mystery of her identification, all of the production labels had been cut off her clothes and filed off the objects. Furthermore, her face and neck showed signs of bruising and her fingerprints had been sanded away. Somebody certainly didn’t want her being identified. It quickly dawned on the local police force that this wasn’t going to be an easy case. They asked for assistance from the National Criminal Investigation Service in Oslo. The first lead in the case came three days later, when investigators discovered two suitcases belonging to the woman at Bergen train station. They were able to trace it back to the unidentified woman with fingerprints that were lifted from a pair of sunglasses. 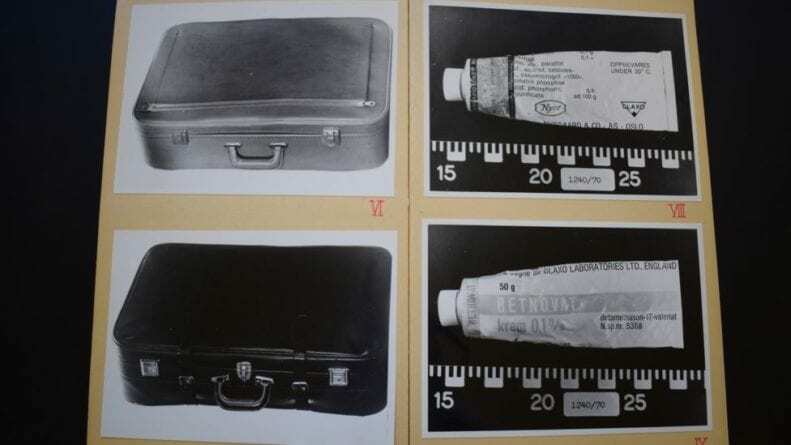 Inside the suitcases, they discovered a notepad with a series of entries in codes, money, clothing, rubber boots, several wigs, a comb and hairbrush, silver spoons, glasses and a prescription for eczema cream. If investigators thought this was going to be the smoking gun in identifying the “Isdal Woman” then they would be sorely disappointed. Once again, any identifying features were removed, including the patient and doctor details which had been scratched off the bottle. One item, however, did have an identifying feature. It was a shopping bag with the name “Oscar Rørtvedt’s Footwear Store” inscribed on the front. Police located the store in Stavanger. 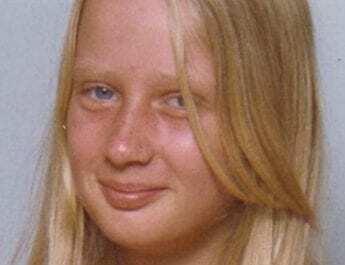 They travelled to the store and spoke to the son’s owner, Rolf Rørtvedt, who told them that he remembered the unidentified woman. She had come into the store several weeks beforehand and purchased a pair of rubber boots. 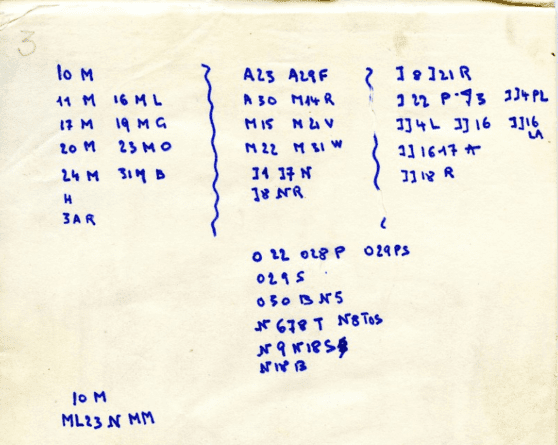 Investigators were able to crack the codes in the notepad found in the locker and determined that they were records of the woman’s extensive trips around Europe. She had travelled through Paris, Hamburg and Basel. Several people who claim to have met the mysterious woman in her travels came forward. They relayed how she wore wigs and could speak a number of different languages, adding that when she spoke English, she did so with an accent. She stayed in several hotels and used fake names which were often backed up with fake passports. Even more bizarre, if she stayed in a hotel more than one night, she would always request to change room. “What was she doing in those places? Why did she go there? And why did she want to conceal both her identity and travelling route by using these codes?” Carl Halvor Aas, a police lawyer involved in the case pondered. She was described as being 5 feet 4.5 inches tall, with long brownish-black hair which she wore up in a ponytail with a blue and white print ribbon. She had a small round face with brown eyes and small ears. She was estimated to be between 25 and 40-years-old. 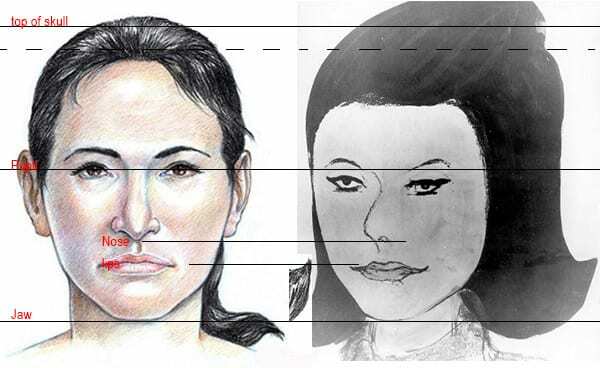 Composite sketches of the Isdal Woman. The one on the left is a more recent sketch. Witnesses who met her in Bergen recalled that she looked smart and sophisticated. She was “other than in magazines and movies, the kind of woman we hardly ever saw,” said a bellboy. Another witness who worked in the dining room of one of the hotels the mysterious woman visited recalled that the woman strolled into the dining room on her own with a proud posture and looked comfortable. This was a rare occurrence back then when it wasn’t common to see single women in the dining room. She said it was evident that the woman was used to travelling alone and felt no qualms about being alone. Investigators trawled through missing person reports but were unfruitful in finding anybody that matched the mysterious woman’s appearance. Investigators got a slight glimmer of hope that they could identify her when it was noticed that ten of her teeth had gold crests and the majority of them were performed gold crests, a kind of premade crest.2 They called a dentist in to examine the crests who stated that the type of crests were not used in Scandinavia. He said they would be more common in “the Orient and in some parts of southern and central Europe.” Over the forthcoming years, the crests were examined by numerous experts in the hopes they could determine where exactly they were made. Unfortunately, however, they were never able to narrow it down to an exact location. As this was during the Cold War, many people theorised that the unidentified woman was a spy. “This was during the Cold War, and there were definitely a lot of spies in Norway, including Russian spies,” said Gunnar Staalesen, a Bergen-based crime author. She seemed to go to great lengths in an attempt to conceal her identity, even when doing something as basic as checking into a hotel. 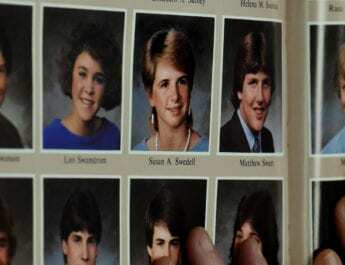 In fact, investigators were able to determine several fake names the woman used when checking into a hotel. They were: Finella Lorck, Claudia Tielt, Vera Jarle, Alexia Zarna-Merchez, Claudia Nielsen, Genevive Lancier, Vera Schlosseneck and Elisabeth Leenhouwfr. Could she have used more fake names than the ones investigators uncovered? Probably.. 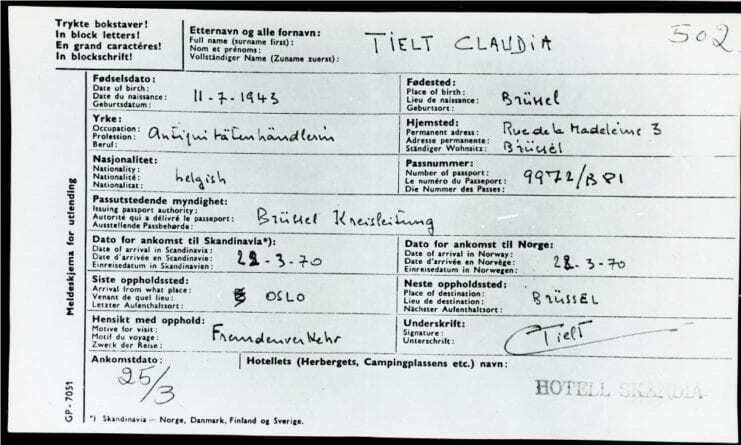 They also noticed that each time she checked into a hotel, she claimed to be a Belgian citizen. However, when investigators contacted Belgian police with all information they had on the woman, they said that all of the identities given were false and weren’t true identities of any Belgian citizen. So, she had at least eight different identities and presumably eight passports to match said identities. In addition, she was involved in extensive travel all over Europe. This travel would have cost a decent amount of money yet investigators could never determine where the money came from. It’s easy to see where the spy theory came from. Several of the investigators eventually concluded that she had committed suicide. They note how difficult it would have been for anybody to force her to swallow such a high amount of sleeping pills. The Bergen Chief of Police, Asbjørn Bryhn, said he believed that the woman was obsessed by some form of mania, probably paranoia. Many other investigators disagree with the suicide conclusion, however. Among those who refute the suicide claim is Knut Haavik: “Personally, I’m totally convinced that this was a murder. She had various identities, she operated with codes, she wore wigs, she travelled from town to town, and switched hotels after a few days. This is what police call ‘conspiratory behaviour.’” Those who believe she was murdered also say that the remote location she was found combined with the brutal method of death makes it seem unlikely that she ended her own life. 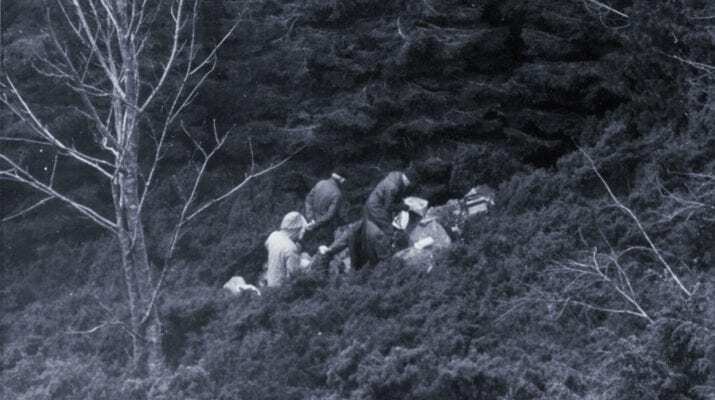 To this very day, the identity of the “Isdal Woman” remains an enigma, as does the reason she ended her life or was murdered. She was given a Catholic funeral which was attended by the officers who desperately attempted to identify her. She was buried in a zinc coffin that will never disintegrate. This way, if she ever is identified, she can be transferred to her home country. It says “pugilistic attitude” not just “pugilistic” which is the stance of boxers. However, that’s where the term originates from. Pugilistic attitude or stance is a ‘defensive’ position fancifully likened to that adopted by pugilists (boxers), which is typically seen in severely burned bodies, characterised by flexion of elbows, knees, hip, and neck, and clenching of hand into a fist; it is caused by high-temperatures in fire, resulting in muscle stiffening. The author is correct and did a fantastic job with this post. I’m an author of horror novels, and while this hardly makes me an expert, I have come across this phrase a couple times describing burn victims. This is really a great read. Thank you! I’ll need to check your novels out. This is so so freaky…. Surely someone somewhere has to recognize her? For once I think the spy theory holds some water. Omg the whole spoon thing is driving me nuts! Well, the whole case is baffling but who travels with that many spoons?!! Drug addicts. I’m a former user, and I can tell you, I went through ALOT of spoons. A great write-up, even by your high standards. Also you have included some not-often-included photos which adds to the piece. This case has always fascinated me – there is so much to go on and at the same time so little. If she was a spy or similar then the answer may be in a dusty filing cabinet somewhere. If she was ill and paranoid/delusional then we may never know. If coffin is indestructible have they considered digging her up and doing DNA sequence? Fascinating case, thank you for sharing. If the fingerprints of the corpse were sanded away, how did the fingerprints on the glasses get traced back to the corpse? Amazing read…i was thoroughly fascinated by her. I want to know who she is. Did she work for the CIA…the Russians? I’d love to know…even in death she remains a mystery. That type of death though…i don’t think anyone else did it. She staged that herself I believe. Have you heared about the plaza woman? Another unknown woman with similar story as this one. Also in Norway. No, I haven’t heard of that case before but I’ll certainly look it up. Thank you! 🙂 Theese two cases have so much in common. Plaza woman died in 1995, though. So there’s a time gap between the two cases. Look at this: https://www.vg.no/spesial/2017/plaza-english/ They both used fake id, both were classy women, both had no tags in clothing, and the list of similarities continues. This is so weird. fascinating story it is. How comes, not a single state ever claimed to have lost an intelligence officer? Diplomatic circles would have established the mysterious woman and sought her repatriation. Indeed a complex world we live in. I doubt Intelligence agencies announce when they lose someone. Have you ever read or heard them talking about it on the news? I haven’t. I’m sure whoever she worked for is aware of her finale, but will never come forward- it could cause a scandal, since they will be admitting to spying on another nation or organization. Very good read. Why was she travelling with so many spoons? I kind of think she was a spy and was assassinated. Wow, a fascinating story! I do think they could run a DNA ancestry test on her, to at least figure out her origins. I have to agree that I believe in the Spy theory. I’m sure whoever she worked for is aware of her finale, but will never come forward- it could cause a scandal, since they will be admitting to spying on another nation or organization.